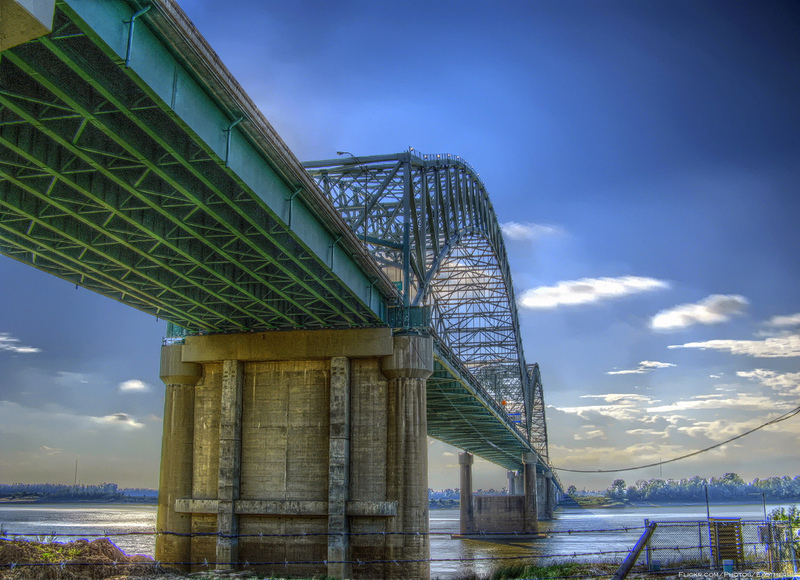 The Hernando de Soto Bridge is a through arch bridge carrying Interstate 40 across the Mississippi River between West Memphis, Arkansas and Memphis, Tennessee. 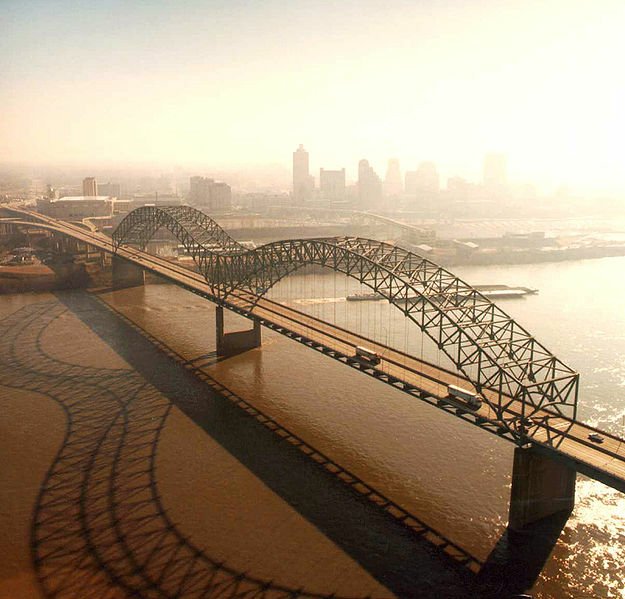 It is often called the "M Bridge" as the arches resemble the letter M. Memphians also call the bridge the "New Bridge", as it is newer than the Memphis & Arkansas Bridge (carrying Interstate 55) downstream. 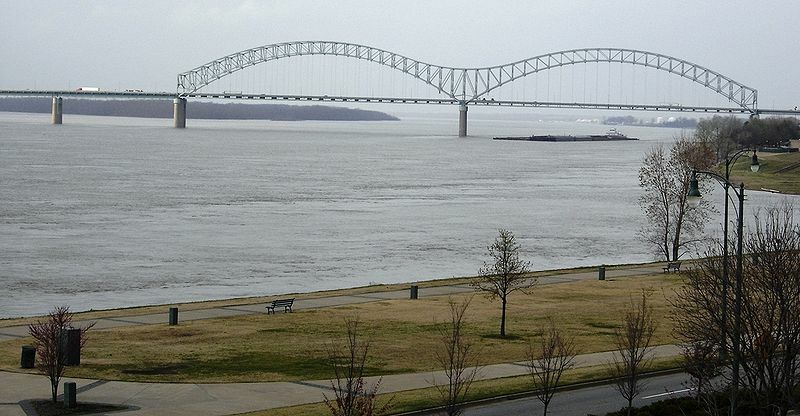 On August 27, 2007, an inspector discovered that a bridge pier on the approach bridge west of the river had settled overnight, and the bridge was subsequently closed to perform a precautionary inspection. The bridge was reopened later that day. Most drivers come across the "new" bridge, the Hernando Desote bridge and don't even notice the older spans a little further up river. 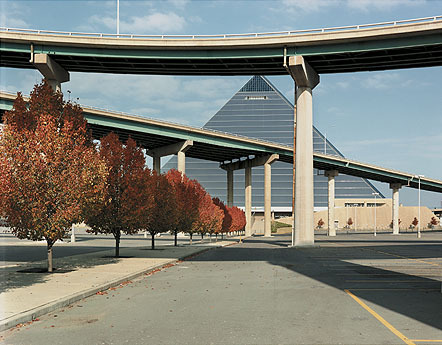 This mess of concrete surrounding the Pyramid (yet another Memphis plan gone bad) are just feeders to the new bridge.